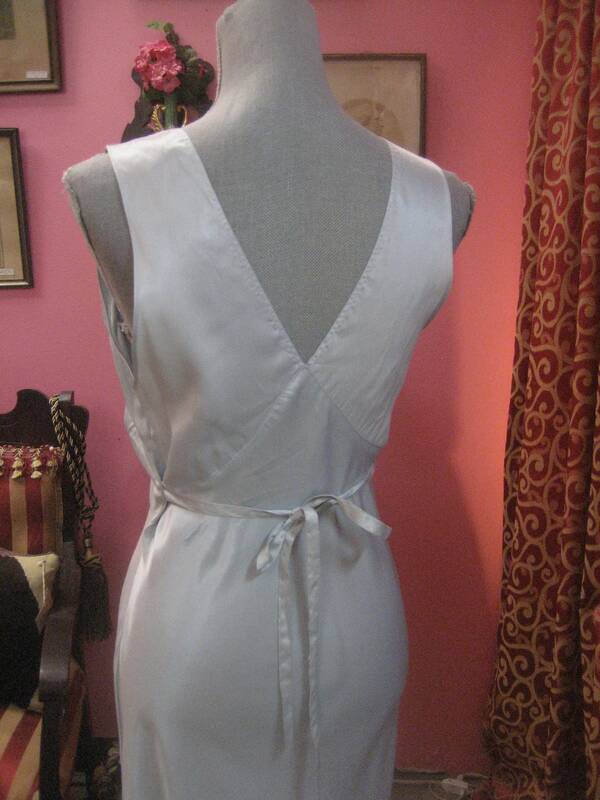 1940's, 36 bust, ice blue rayon satin full length bias cut nightgown. 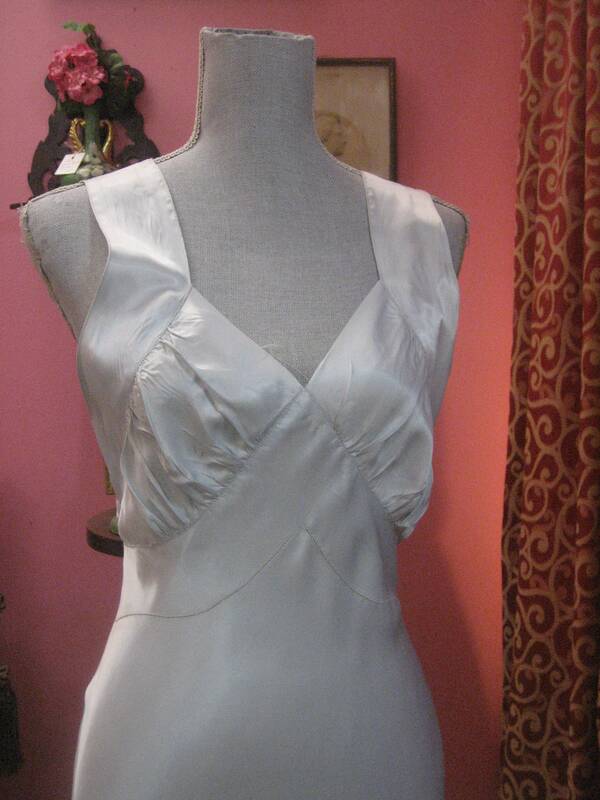 1940's, 36" bust, ice blue rayon satin full length bias cut nightgown. 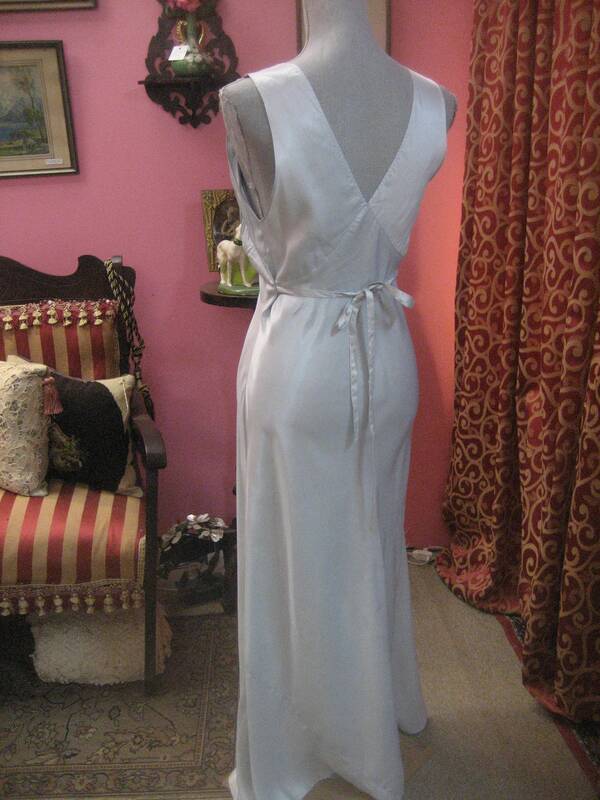 1940's, 36" bust, ice blue rayon satin full length bias cut nightgown. 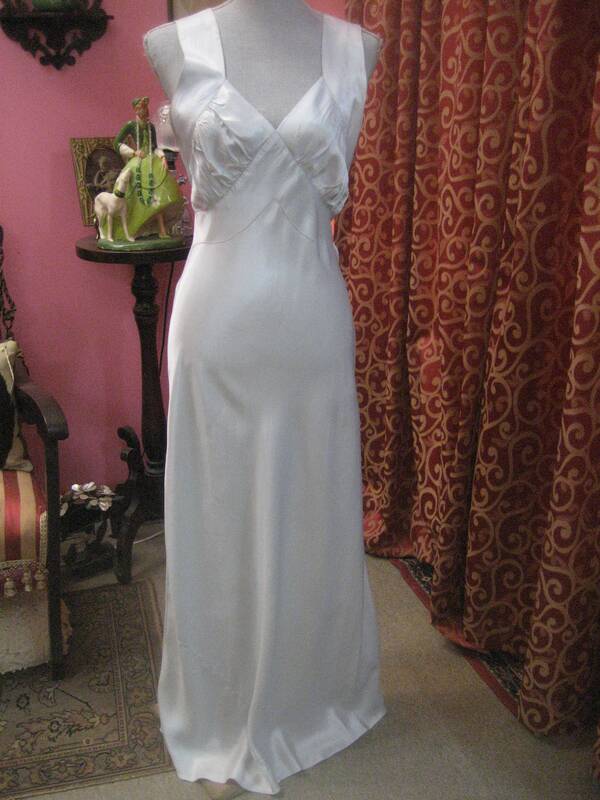 Nightgown has " sweetheart" neckline, wide shoulder straps, pleated bodice, and long back ties.